Note from the CEO: CBOE to buy BATS. Like you were told (or should have been) by your parents, if you don’t succeed try, try again. Or, at least wait 30 years. Yup, almost to the day, in September 1986 the CBOE acquired the lonely Cincinnati Stock Exchange to bring stock trading to the options floor. Didn’t work. The BATS deal might since it does have a working business AND the exchange doesn’t need all those wild idiots in colored coats running around. Just plug the black box into the wall. Note from the Publisher: For those of you who may not know, our CEO Bill Taylor was one of the original “wild idiots in colored coats running around”, er excuse me, I mean an original member of the CBOE when it was first launched and moved into the CBOT’s smoking lounge. So there’s a little bit of personal history behind the story. 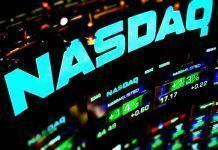 “CHICAGO and KANSAS CITY, Kan., Sept. 26, 2016 /PRNewswire/ — CBOE Holdings, Inc. (NASDAQ: CBOE) and Bats Global Markets, Inc. (Bats: BATS) today announced that they have entered into a definitive agreement, which has been approved by the Board of Directors of each company by unanimous votes of the members of the boards present, under which CBOE Holdings has agreed to acquire Bats in a cash and stock transaction valued at approximately $32.50 per Bats share, or a total of approximately $3.2 billion, consisting of 31% cash and 69% CBOE Holdings stock, based on CBOE Holdings’ closing stock price of $70.30 per share on September 23, 2016. 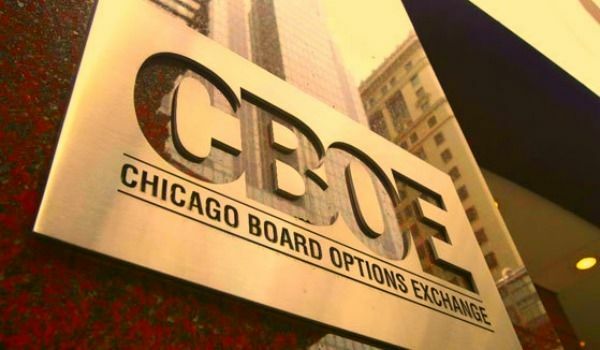 CBOE Holdings will acquire Bats for approximately $3.2 billion (based on CBOE’s closing stock price on September 23, 2016), and will fund the purchase price through a mix of stock and debt. 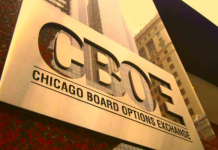 Under the terms of the agreement, Bats stockholders will receive $10.00 per share in cash and 0.3201 of a share of CBOE Holdings common stock, representing a total consideration of approximately $32.50 per share, based on the closing price of CBOE Holdings common stock on September 23, 2016. The merger agreement also contains an election procedure allowing each Bats stockholder to seek all cash or all stock, subject to proration and adjustment. 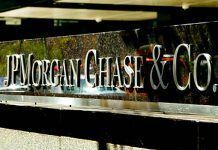 The company intends to fund the cash portion of the consideration and the refinancing of Bats’ debt through available cash and new borrowings of $1.65 billion, for which commitment letters have been obtained. Following the close of the transaction, Edward T. Tilly, CBOE Holdings CEO, will remain CEO of the combined company. Chris Concannon, Bats CEO, will become President and COO, succeeding Edward L. Provost, CBOE Holdings President and COO, who plans to retire at that time. Chris Isaacson, Bats CIO, will succeed Gerald T. O’Connell as CIO, who also plans to retire at that time. CBOE Holdings CFO Alan J. Dean will remain as CFO of the combined company.